Is It Worth It To Purchase Insurance For Your Smartphone? With all of the (continual) hype surrounding the release of the Galaxy S III, it’s totally understandable if you’ve gotten on the bandwagon and purchased yourself a smartphone. And, being that it’s not the cheapest cell phone in the world, it’s also understandable why you may be contemplating if you should get insurance for it. 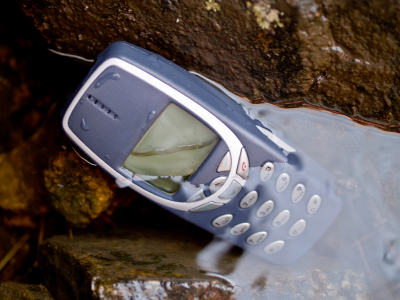 After all, sometimes phones break, get lost or are stolen. When people pay more than a few dollars for something and they use it on a daily basis, they tend to be pretty careful. Although you certainly can’t control someone stealing your phone, has that ever happened before? And unless you have a habit of losing phones, that’s probably not going to happen either. Bottom line here is that if you’ve been fine with your cell phones before, you may be purchasing something that you really don’t need. If you had the opportunity to speak with consumers who tried to get a replacement phone based on their insurance policy, one thing that you’ll probably hear more than once is that it wasn’t the same quality (or sometimes even the same model) as their original one. Oftentimes people end up with refurbished versions of the phone they once had. That’s not the same thing as a new one. It’s a cell phone company’s job to try and “upgrade” their sales; that’s how they make more money. But before they try and make you feel like it’s the most responsible thing on the planet to get your phone insurance, do a bit of investigating to see if there is a manufacturer’s warranty that comes with the phone and how long it lasts. There’s no need to pay for additional coverage that you already have. Also, you might want to double-check with your homeowner’s insurance company as well. Sometimes phones are covered in their policies as well. When it comes to mobile insurance, like basically any other kind of insurance (house, car, health), there is a deductible that you’ll usually have to pay in order to get another phone. So, not only are you paying a monthly amount for the insurance policy, but in order to have a new phone, you’ll have to fork over even more dollars. That’s definitely something to think about. A lot of people don’t read the fine print on contracts. That said, although in your mind you may lose a phone and simply be able to walk into your cell phone company’s store and get a new one, based on their stipulations, you may have to wait a couple of weeks or be sent to another facility to get a new (or another) phone. Insurance is not the “cure all” for your phone issues. Make sure to read the entire contract and ask any questions before signing on the dotted line. So, do you have insurance for your smart phone? I’ve never purchased phone insurance because I figured it was a scam. These are some good questions to ask. Didn’t know they could have deductibles. I haven’t in the past either. Yes, depending on the plan you could get dinged with a deductible so it is always good to read the fine print. I don’t have insurance for mine. AT&T wanted $10 a month, and then if it breaks it’s an additional $200 to replace it. Just didn’t seem worth it to me! Me either. That sounds like quite a rip off. It will be cheaper to just pay for a new phone outright. I don’t have phone insurance and think it is a complete waste. For the amount of money you spend on it and the fees to get a new phone it just isn’t worth the 1 phone I might break every 10 years. Agreed. Phone last longer than people think. I never got the mobile insurance either and I even have an iphone. I accidentally dropped mine in the toilet which I think is the most common way people get their phone wet. Luckily it still worked but I had to let it sit in a box o rice for a week in order to dry it out. However, one thing I did learn is that Apple will not cover your phone if you get it wet in fact they even have sensors built in them to tell if they have gotten wet, to void the warrenties. I don’t think it’s worth it but it’s really up to the person and how they use it. I didn’t know that about apple. I thought their warranty covered liquid damage. Good to know. I am glad your phone was ok in the end. Phone insurance is a scam of course – and particularly if you have a cheap phone where the service provider charges the same. But our phones are insured by our bank as part of a package that includes up to 4 phones (we have one each and our son has one on our account as well). It also includes nice things like airport lounge entrance. So no we don’t insure our phones (iPhone 4 and Samsung Galaxy S2)…. I didn’t know banks offered those kinds of plans. Interesting. Is it just a rider on your house insurance? Getting a mobile insurance is going to be quite useless and a waste of money because replacing it seems a lot easier if it will only covers the replacement of the phone. Phones nowadays are like cars,the price depreciates very fast because new and better ones are being produced and marketed every few months,so better keep your money and save it to buy something more useful. It’s true. They don’t hold their value for long. It is so sad how disposable things are nowadays. Such a waste. We opted to invest in some pretty heavy duty cases instead of the insurance. I feel like now that I’ve put that out there we’re going to have some major phone drama. I’m knocking on wood right now. Lol. I think you will be fine. We invested in some good cases for ours too. It’s not insurance! It’s barely even a paid warranty. For insurance to make sense, the loss must be catastrophic. Otherwise, you’re paying the insurance company’s profit for something you don’t need to. In those cases, you should self-insure and keep the profit for yourself. To highlight the absurdity of this, consider the deductible on your car insurance. Say it’s $1000. We do that because it’s not worth having the insurance company pay claims below that amount. Yet in comparison it makes sense to insure a $500 loss?